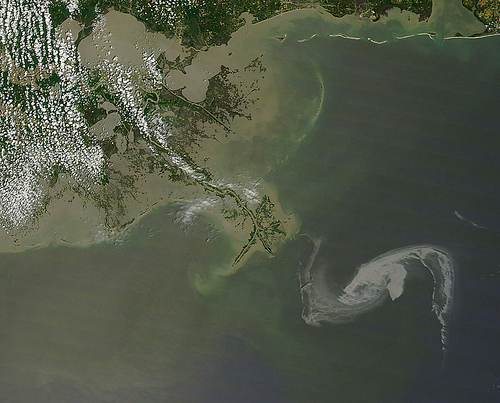 Catastrophe, calamity, debacle, disaster — all words that can describe the ongoing oil spill in the Gulf of Mexico. What started as an unfortunate event that took multiple lives and many livelihoods — and will have been responsible for the extinction of numerous marine species — has grown to become a tragedy of historic proportions. The ongoing oil spill and subsequent scurry to resolve it essentially comes down to a lack of disaster planning. This is not quite what we might have expected from a corporation the size of BP. And yet lots of companies choose to ignore significant risks to their operations in favor of reporting shorter term profits. Smaller businesses are just as guilty of ignoring significant risk factors as their larger counterparts. Disaster Recovery (DR) planning is important for the survival of every business. Disaster can and will happen — whether it’s a fire, loss of a key client, or the unfortunate actions of a large company that negatively impact your operation. So don’t ignore the possibility. According to American Red Cross data, approximately 40 percent of small businesses do not reopen following a major disaster. To a small business, a “major disaster” might be something as simple as a system crash (loss of important data and/or system operability). Mid-size and especially large companies tend to think long and hard about business continuity. In some cases, whole divisions in these companies choose to pretend that they have appropriate DR plans in place, but they are thinking about disaster recovery nevertheless. Not so for many small businesses. What can small businesses do to reduce the risk of exposure to interruptions in their operations? Take the time to think through different scenarios. How will you respond? How will your IT and operational systems function? Is your business data backed up? How will you communicate with your employees and clients in an emergency? Be prepared in advance so that you can minimize the impact of any type of disaster on your business. Ready.gov – Prepare. Plan. Stay Informed.